Leon Williams was born on October 12, 1934 in Spokane, Washington to Charles Henry Williams and Evelyn B. Davis. He passed away on July 7, 2016 at his home in Seattle following a stroke 3 months prior. Leon grew up in West Seattle and on a small family farm in Nine Mile Falls (near Spokane). He especially enjoyed times with his Aunt Dorothy and Uncle Charlie on their large farm near Newman Lake. Leon also enjoyed music and played the French horn and trumpet in the school band. 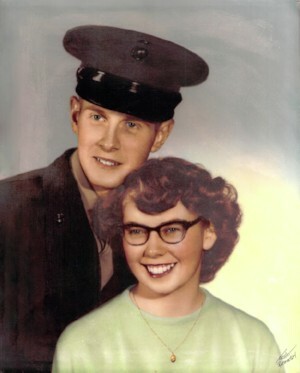 After graduating from North Central High School in Spokane and marrying his high school sweetheart, Rosie, in 1952, Leon served in the United States Marine Corps from 1953 to 1955 in Korea, working on telecommunications. He completed his apprenticeship and journeyman pipefitter certifications at the Puget Sound Naval Shipyard in Bremerton. Leon then went on to earn his Bachelor’s and Master’s degrees in Education, majoring in Industrial Arts and minoring in Mathematics. 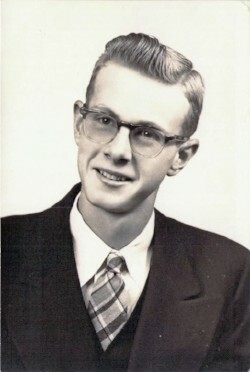 After graduating from the University of Washington in 1962, Leon spent nearly a decade teaching in Seattle as well as at Kauai Community College and Pahoa High School in Hawaii. In 1970, he moved his family to Vegreville, Alberta, Canada and taught Small Motors Shop for students going onto technical programs who often brought in family farm machinery to learn how to repair. Leon also enjoyed teaching drafting and especially Industrial Arts where his students enjoyed learning a multitude of skills including silk screening, plaster casting, leathercraft, copper tooling, photography, and much more. In 1973, Leon and his family returned to Seattle to the same house Leon and Rosie bought in 1962. Leon became an instructor of mechanical drawing and mathematics at the PSNS Apprentice School, making the long commute between Seattle and Bremerton each day – walking, riding Metro, and taking the ferry, which he called his yacht. The program later moved up to the Olympic College campus and Leon continued to teach and mentor students in drafting and then computer aided drafting with the change of technology. He was known on campus for making huge carrot cakes for all special occasions, keeping a good supply of coffee and hot chocolate at work with a metal tin for donations, practical jokes with co-workers, and buying and planting flowers and plants on the campus. He retired in 2006, continuing friendships with many co-workers as well as continuing to support Olympic College every year. In 1999, Leon began sending flowers to Women in Trade Fair award winners. He was the first male to receive an award from the organization for women’s rights to work, receiving a commendation in recognition of his work with women in his classes at Olympic College in 2004. Since 2004, award winners at the Women in Trades Fair have received bouquets of flowers with their plaques to honor Leon’s tradition. Leon also received awards for his teaching while at Olympic College. He loved teaching and his students and colleagues loved and respected him. Leon will be remembered for his love of gardening. His yard is well known throughout the neighborhood for being full of thriving flowers, trees, and other plants. He often would plant many tomatoes plants and berry bushes along the fence and on the parking strip so that there was plenty to for his neighbors to pick and enjoy. He loved trips to Flower World, as well as many other nurseries – some a half day’s drive away – and would buy trees and plants, not only for his yard, but for friends and family or to plant anonymously. Leon worked hard in his yard as well as others’ yards and in later years, had chairs stationed in shady spots to sit and water from when he no longer had the energy to stand. Leon could often be seen driving his John Deere riding mover around several blocks in his neighborhood, mowing everyone’s parking strips. He also took his mower to family and friends’ houses to take care of their yards as well. 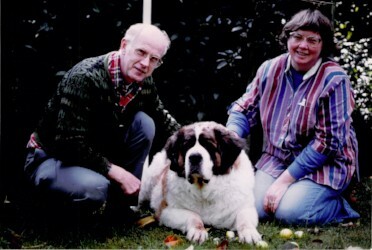 Leon loved animals, especially his beloved St. Bernard, Emily. He also loved all of the rescue cats that he and Rosie adopted over the years. Leon always had a milk bone or jerky treat to share with others’ dogs as well. When in his chair at home, Leon always seemed to have a cat on his lap. Leon was a very generous person who always put others before himself. He was always there with his shovel and tool belt, eager to help family, friends, and neighbors with anything - yard projects, construction, plumbing, painting, even pulling nails. Leon had extensive skills and knowledge and was who we all could rely on to help with just about any household problem. Leon is survived by his wife of 63 years, Rosa Lee, his daughters Joan Briggs and Bev True, and his grandchildren, Denise True, Andy Briggs, and Amy Rodgers. 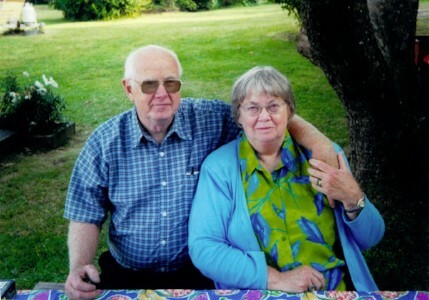 He is also survived by many cousins, his sister, Marian Lund of Medical Lake, WA, and her extended family who he was very close to and often visited. We will hold the memory of Leon forever in our hearts. A memorial service with honors will be held on Friday, September 16th at 11:30 am at Tahoma National Cemetery, 18600 SE 240th Street, Kent, WA 98042. In lieu of flowers, gifts may be made to the Northwest Chapter of the National MS Society. Lavender illuminated by the sun’s light. 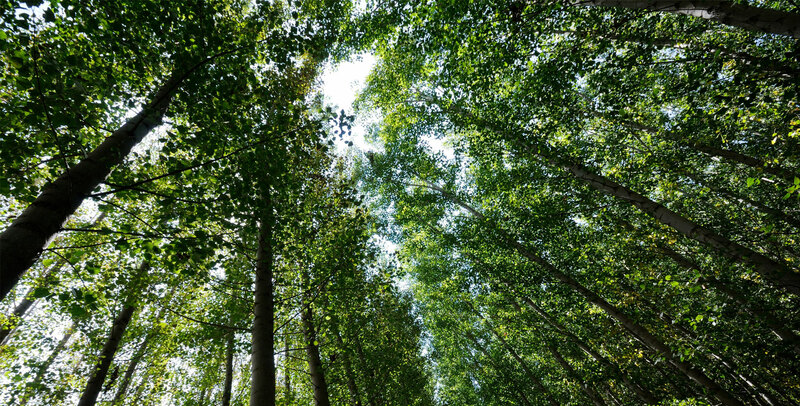 Knowing his daughter Joan as I do, I am not surprised to read of her father's lifelong service to others, love of care for the environment, and quiet creation of beauty in the lives of his family and others. I thank Leon for the joy he continually shared with all through his acts of quiet humility and selfless caring. Joan lives as a tribute to Leon, creating the same values in her life as those of her father! Bless the entire family during this time of loss, reflection, and appreciation. Much love to you all! It was always a pleasure to see and chat with Leon. His sincere thoughtfulness extended to our neighborhood. From giving our dog a treat to mowing many yards in our cul-de-sac, he exemplified friendliness and sincere interest in others. His kindness, life and work will always be remembered. I will always have cheerful memories of Leon. My Mom loved nature, plants,animals, music and art just like Leon. I too have a deep passion for these things. Guess I got good genes from my Mom and Dad. I am thankful that Leon was a part of my life. He always had positive, cheerful and funny things to share. My cousin, you are missed. Thank you for such wonderful memories of Leon. You are all in our prayers. Sad to hear about Leon's passing. I only met him once, but found him to be everything I read above. Thank you,Wuff Wuff, AKA Leon. You are one of God's unrepeatable miracles, one of a kind. My dogs and I will always treasure your friendship. You are dearly missed. + Godfrey, Stretch, Joey, and Gracie Woof Woof Woof Woof!!! I am so sorry to hear of Leon`s passing. I know he was a wonderful man, husband and father. I will be praying for you Rosa and your girls as I know you are going to miss him terribly. So sorry to hear of Leon's death. Altho much younger, Rosa Lee was my mother's best friend until she died 40 years ago. I have fond memories and loyalty to both Rosa Lee and Leon for that friendship - still well remembered these many years later. My thots go out to Rosa Lee at this time of loss. Thanks for letting me know. I've known Leon since he was a teenager and was dating my sister Rosie. 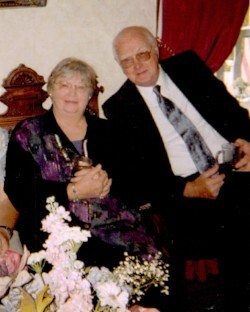 My husband John first met Leon when he and Rosie came to California for our 1959 wedding. One of our memories from that time was taking Leon and Rosie to the beach one evening to roast hot dogs. It was a beautiful starry night and he said those were the best hot dogs he had ever tasted. We remember that evening and all the good times over the years. He had a great sense of humor and loved to tease. We will miss him. My parents in Lihue, Kauai, HI met Leon and Rosalie while they were on Kauai years ago, Ido not know how but had a special place in their hearts for both of them and kept in touch over all the years after they left and through the years after they left Kauai, they kept in close touch with them. 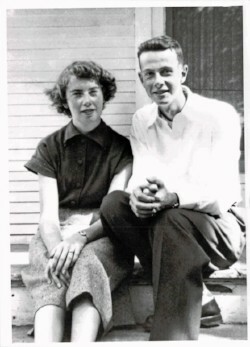 They both held a special place in my parent's hearts even after they returned to the mainland and kept in constant touch through letters over the years. I remember their picture and how they loved visiting at my paren's home when they would love seeing the flowers and plants my mom and dad had. They kept in touch when they left Kaua'i and after their passing, they kept in touch with me with beautiful letters. They both were special even after they left the island and I grew to love them too and was so touched when they kept in touch with me even now,thank you Joan and Bev for sending me this sad news. I feel so honored to be able to leave this short message about your parents. Please give your mom a hug from me and know that I share this time with both of you. Please keep in touch as I did receive a letter thanking me for the calendar I sent them. May God bless you both and know that I love hearing from them. Me kealoha pumehana, Aloha ia 'oe. He will be missed. I am a neighbor of Leon's, and one of the recipients of his frequent generosity. He has done so many favors for us over the years, but the biggest favor he did was just being here and being Leon. Such a friendly countenance and sweet demeanor. He was fond of our cats, who often made their way into his yard to say hello and sun themselves. Leon was just the best neighbor ever, and I will miss him! I will miss Uncle Leon and his laugh, sense of humor, and all of the e-mails he sent to me over the years. He will be missed by all of those he came in contact with, and loved him. He will always be in our hearts and mind. He left a great lasting impression. He will be missed. I am very saddened to hear of Leon's passing. I was privileged to get to know him when we both taught at Vegreville, Alberta. Joan, I wish you well in the future.